This tour consists of a nice trek through old growth forests, 25 foot waterfalls, heath balds, and spectacular scenery. There is a great chance for sighting the Black Bear and numerous other wildlife that are native to this region. 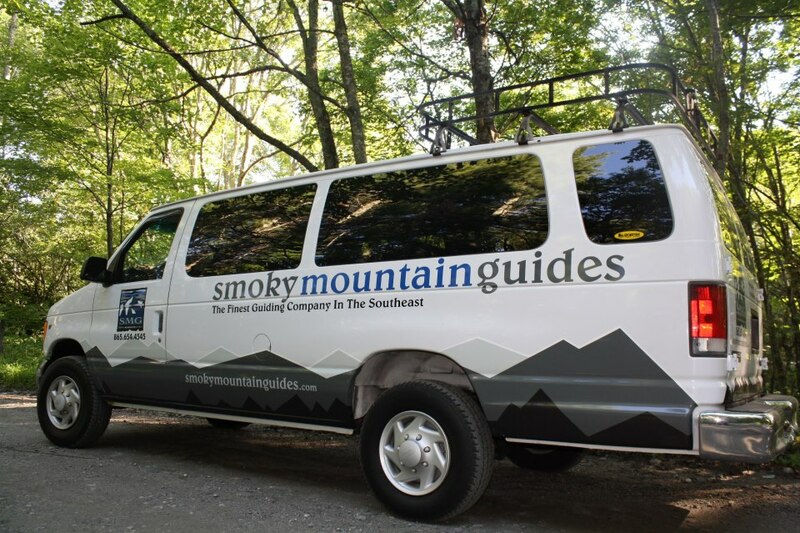 This trip includes shuttle from Gatlinburg location. We will tour the Roaring Fork Motor Nature Trail before arriving at the Trillium Gap trail head. Old growth forests have become very rare throughout our country, but we will walk beneath some of these lasting giants. About the point you begin working up a sweat, the trail coincides with a waterfall that our group will be able to walk behind before we continue to a breezy, heath bald along the ridges of Mount LeConte. 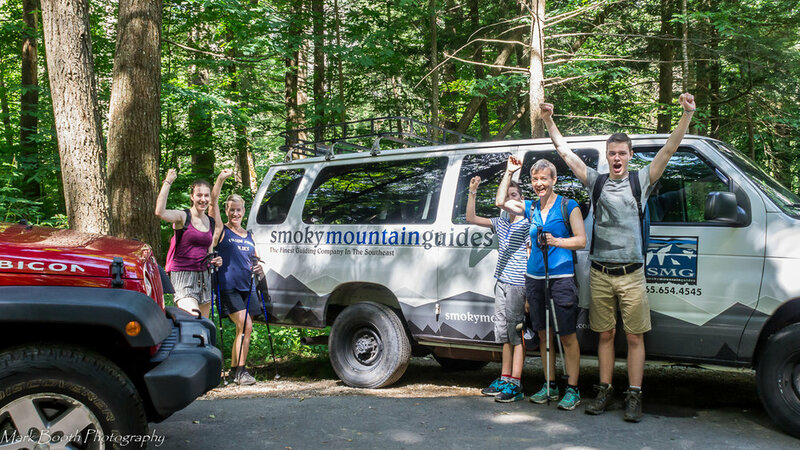 From this point, Smoky Mountain Guides will offer a few snacks and some hydration before returning to civilization, after one more stop to cool off at the beautiful falls.